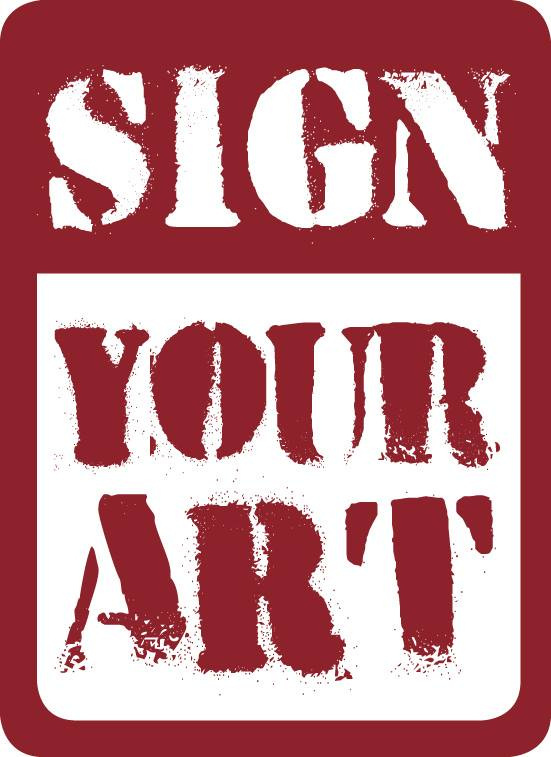 Sign Your Art, a large scale community street art project, has been recognized and included in Google's Cultural Institute archive of street art from around the globe. 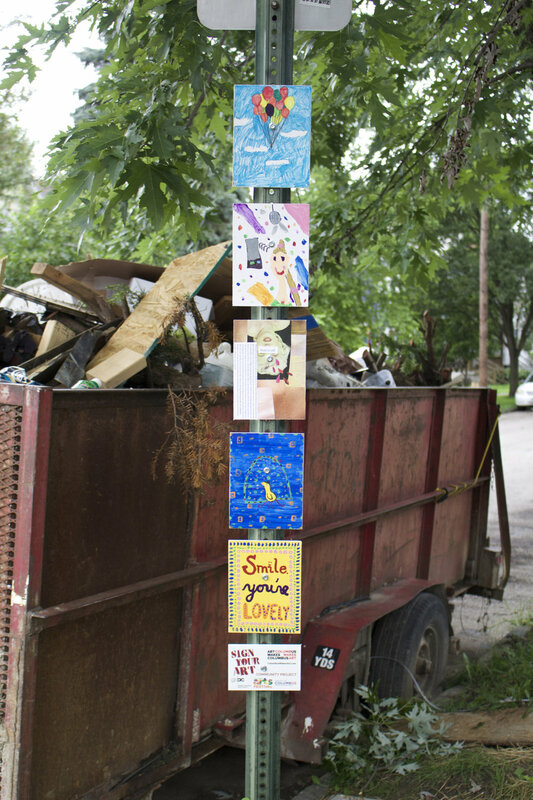 This project was launched at the Columbus Arts Festival in 2015 to serve as a physical manifestation of the Greater Columbus Arts Council's marketing campaign Art Makes Columbus/Columbus Makes Art. 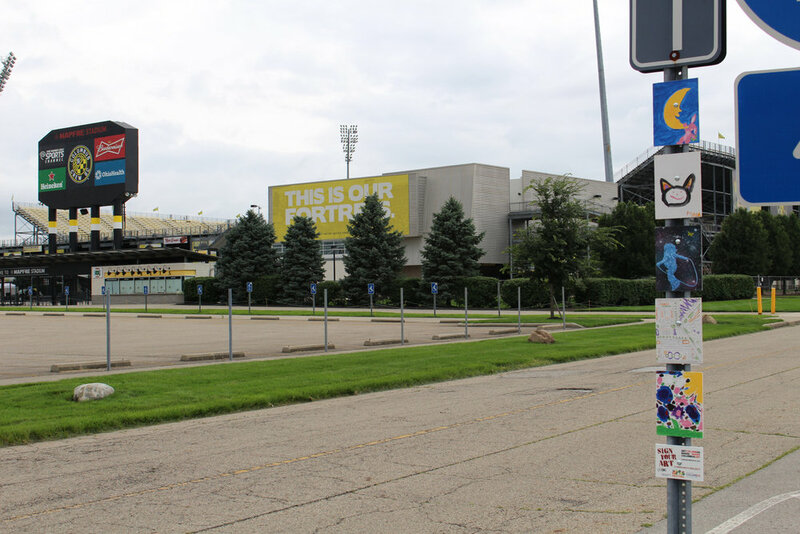 "This first of its kind street art project engages local artists and members of the public to create a unique art installation across the entire city, bringing both local and national attention to the new arts marketing campaign: Art Makes Columbus/Columbus Makes Art and the Columbus Arts Festival. 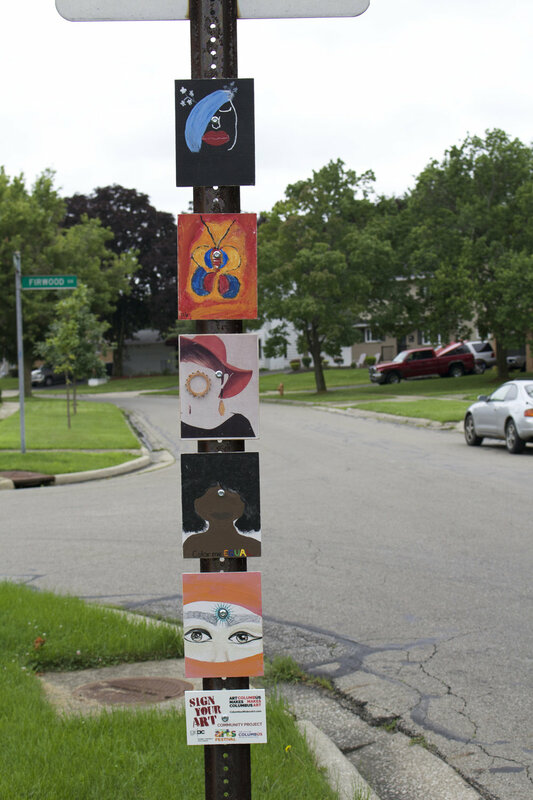 The project is the brainchild of Columbus artist Stephanie Rond. 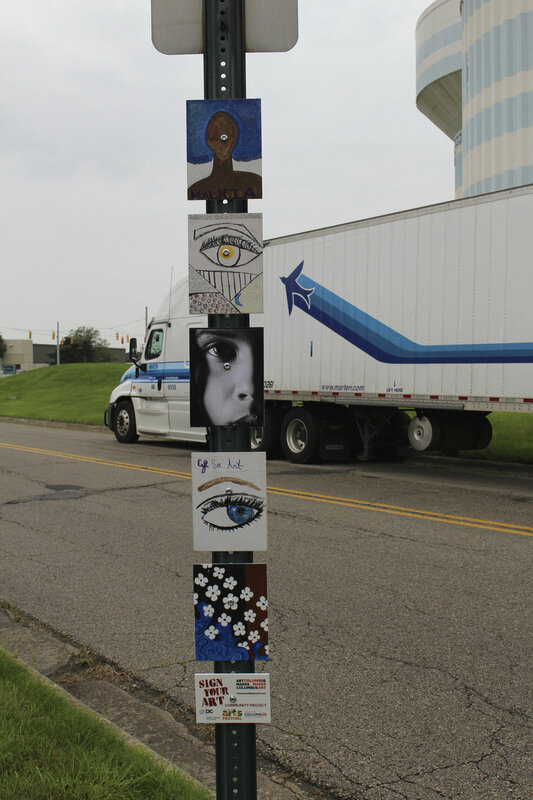 Rond and fellow project director, artist Catherine Bell Smith, helped more than 600 people make tiles at the Columbus Arts Festival. 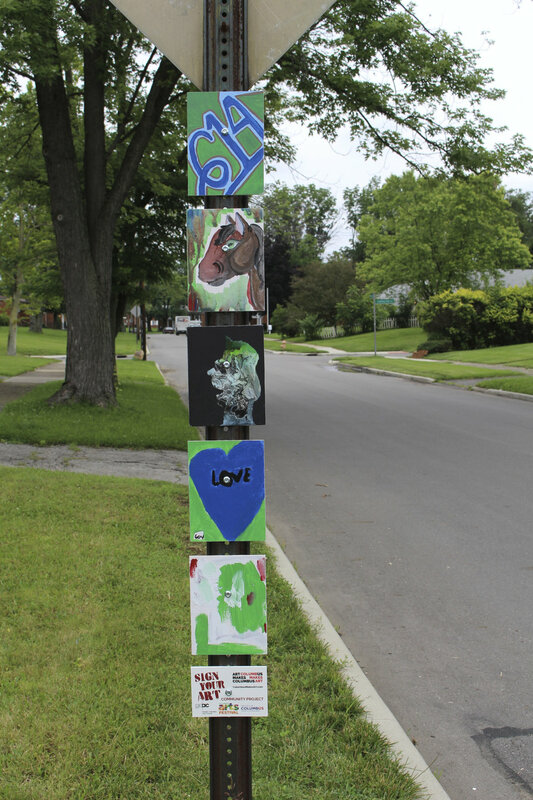 To provide inspiration, 64 tiles were created by professional artists in visual arts, music, dance, film and performance in advance of the festival. 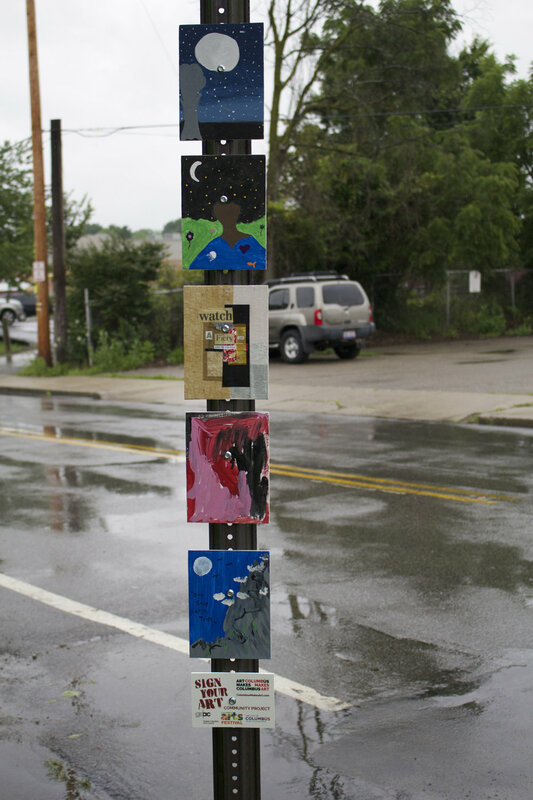 Approved by the Columbus Public Art Commission on June 23, approximately 300 of community tiles created at the Arts Festival will be curated and installed in groups of five, each set containing an inspiration tile and four community tiles, on street signs across the city in mid- to late July for four weeks. 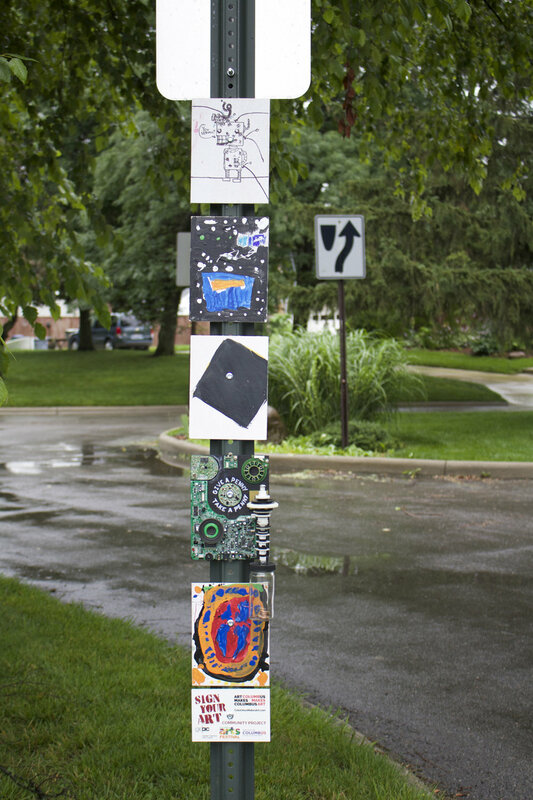 The entire installation will spell out the word “ART” when pinned on a Google Map of Columbus"